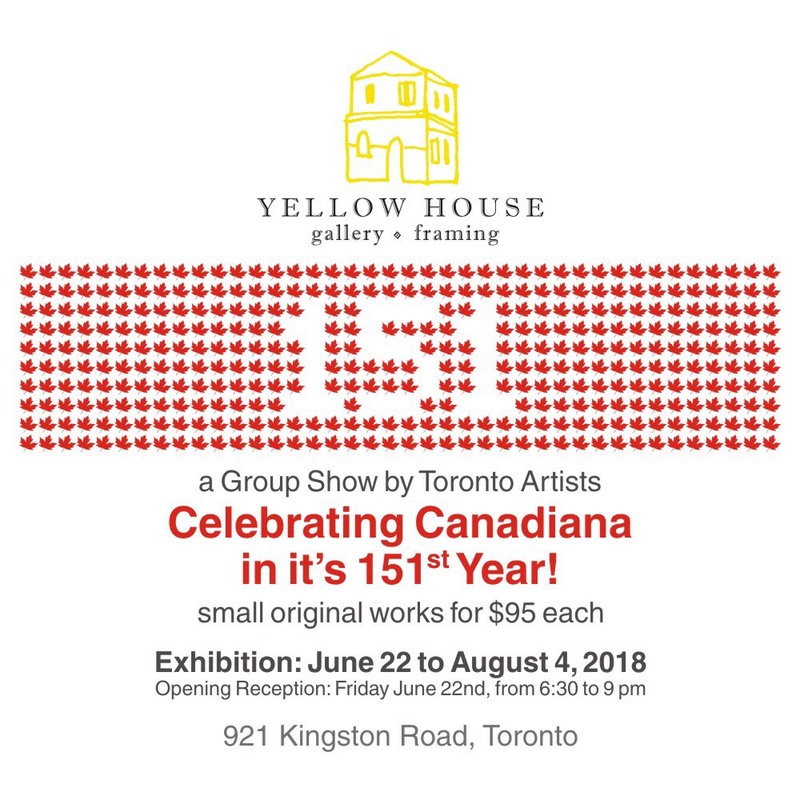 In anticipation of Canada ‘s upcoming 151st birthday, Yellow House is showcasing many small works by Canadian artists, all created on our unique 5”x10” wooden board, all Canadian themed! All Works are available for $95 ea. Come scoop up your own piece of Canadiana!